I grew up in Archway, the son of a Yorkshire man, whose love of cricket was almost as strong as his love of his family, so we weren’t a football family. 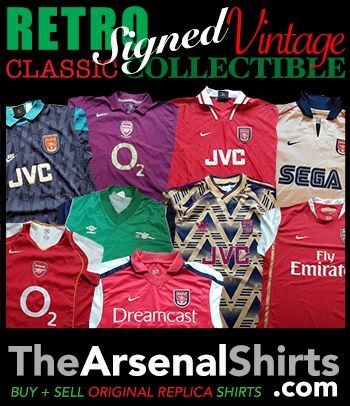 As I entered my teens I started to go to games, home and away, with my mates and this is where I found “my Arsenal”…. I could now list all the games, finals, Highs and lows etc etc etc but I’m not going to, why? Because my arsenal is more than the team, more than the trophies…….it’s the amazing, crazy, bizarre, unique people I have met in the past 35 years following AFC home and away…. The Bear, Maria and her cry, Baz with his kit, Mr Red Rolls Royce, the Mum and Daughter who I met at almost every way game I go to, Mr Beret, Bully, Big Martin, Micky B, The North Bank screamer, The internet freaks (my wife’s words not mine) the list could go on…..but you know what they all have in common??? Their love of ARSENAL FOOTBALL CLUB….Yes they may show it in very different ways, ways we don’t all like and approve of but they still support….they support THEIR CLUB…. THEIR WAY and that’s not wrong. This entry was posted in Arsenal and Me and tagged Arsenal, Arsenal F.C. supporters, Arsenal FC, Football, North Bank, Premier League, She Wore, She Wore A Yellow Ribbon, Sport, Yorkshire on October 14, 2013 by keenosafc.